September 9, 2013  Also: What "immigrant fiction" means; Wild author Cheryl Strayed on finding her half-sister; the best books coming out this week. September 6, 2013  Also: Rush Limbaugh is coming out with a childrens' book; T.C. 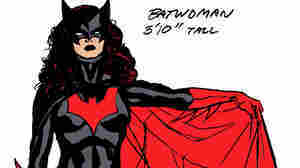 Boyle on writing; Batwoman authors plan to quit the series.